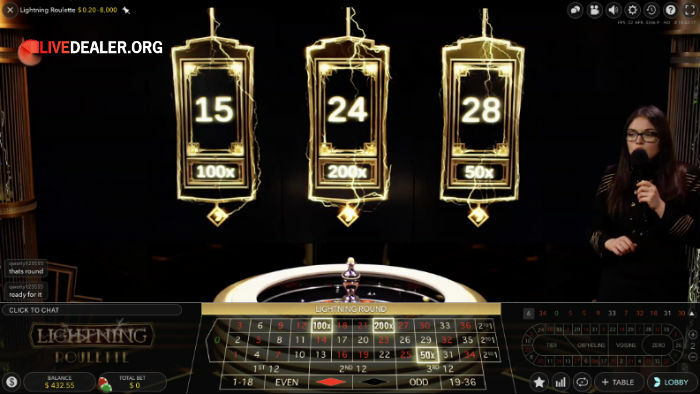 Lighting Roulette still seems to be the flavour of the month at bunch of live casinos, with numerous promotions being run to entice players onto this new table. Judging by player numbers, the strategy looks to be working. During an off-peak session today 150-200 players were trying desperately to land a big Lightning Number payout. It also fair to say, that offers/inducements/tournaments aside…this game does tend to hook you in. 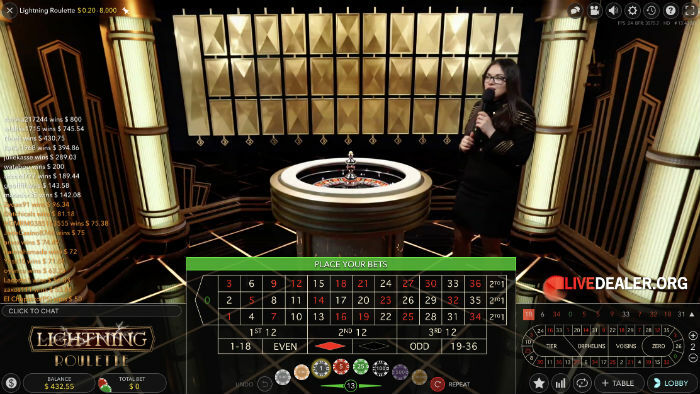 Low skill games with reduced theoretical returns camouflaged behind flashy graphics, epic background music and the promise of big payouts usually aren’t my thing. Lightning Roulette has all these in abundance, however I found myself playing a few more rounds of this game than sense would otherwise dictate. It’s a game of chance within a game of chance. Once your bets are placed, you wait with interest to see if any of your numbers will be selected as Lightning Numbers, and if so, what enhanced payout will apply…50x, 200x or maybe even 500x? Then, if you do happen to have a chip on any of the Lightning Numbers, you find yourself watching that spin very, very closely indeed. Now, amid all the excitement of lightning graphics, lightning numbers, big multipliers and that Who-Wants-To-Be-Millionaire-esc background music, it’s important to know just how much money you’re likely to hand over playing this game over time…that is to say it’s theoretical return to player rate (RTP). Evolution Gaming, as they always do, publish the RTP on the game rules. 97.3% ain’t to bad. The same as European Roulette fact. But this is because (as they do point out), this RTP is based on Split, Street, Corner, Line and Outside bets which offer identical payouts to regular European Roulette. But the bets that everyone playing Lightning Roulette is interested in is the Straight up bets. These are the ones that have the big lightning multipliers applied. They also have a reduced payout of 29:1 when lightning multipliers aren’t applied. It would be nice to know the RTP for the one category of bet that distinguishes this game from regular roulette. There’s a little camouflage for you.